Sharing cool youtube stuff in here. I submit this oddity. 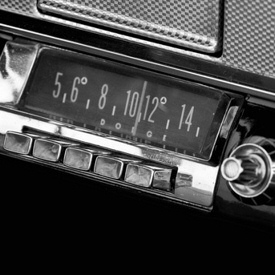 Remember those old presets on car radios like this? Well imagine the top row of number keys act like this. However, rather than being able to define areas, these buttons are each 1/10th increments of the video. Note that you have to have the video focused for the keyboard to control it; just press pause and play if it isn't working and you should have it selected then. Gifsound - combine the sounds from a youtube clip with the hilarity of a gif file. There are also add ons for downloading youtube videos. I use Firefox and 1 touch. There is an easy app for converting Youtube video to flash, I need to find that link again then I'll add it. ivotuk wrote: There are also add ons for downloading youtube videos. I use Firefox and 1 touch. They still work now that YouTube is using HTML5 instead of Flash for videos?